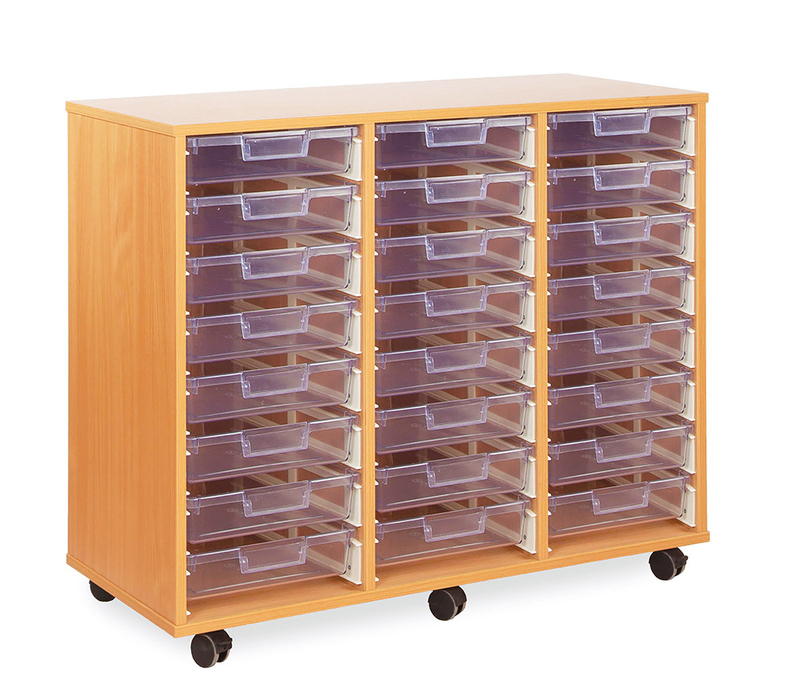 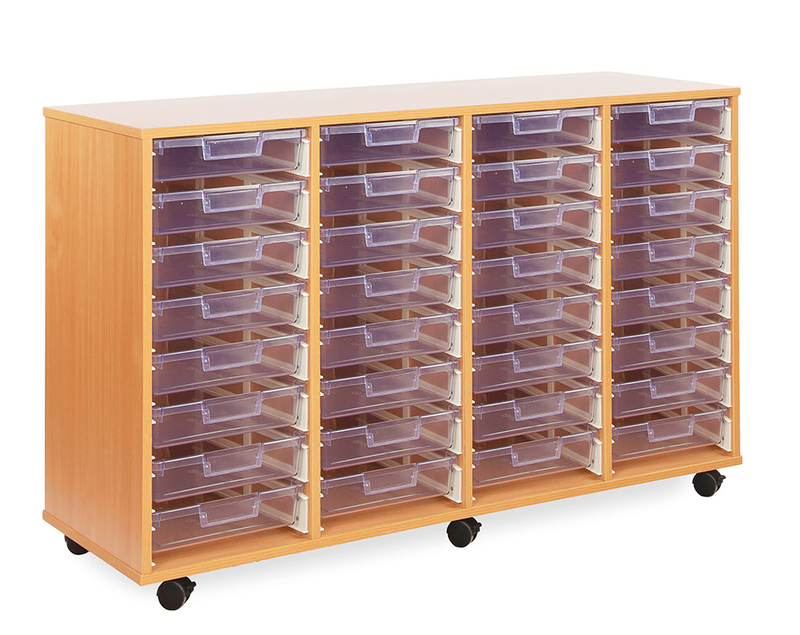 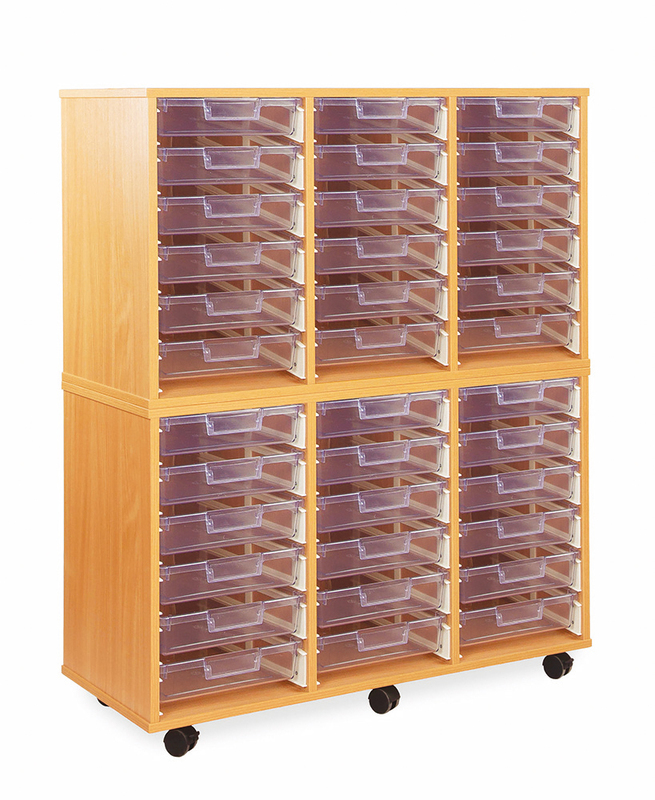 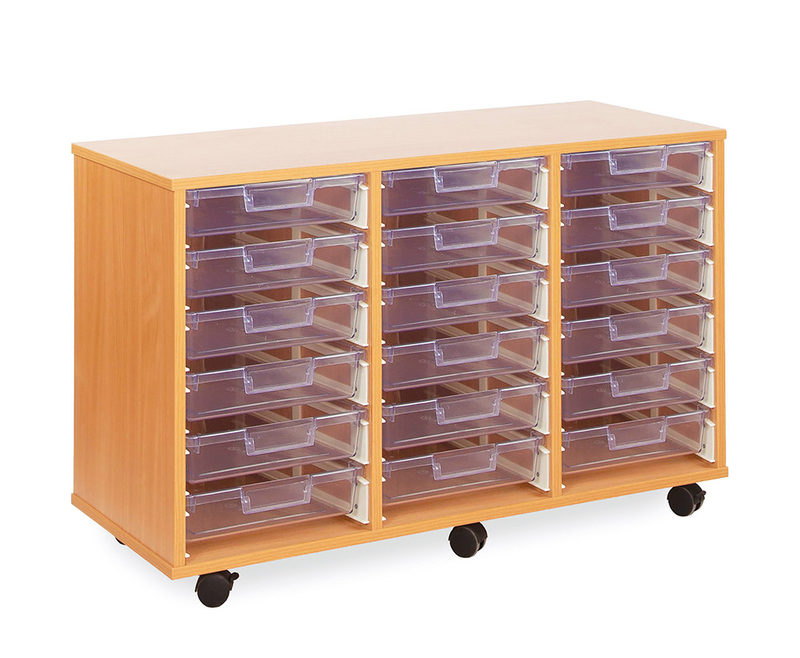 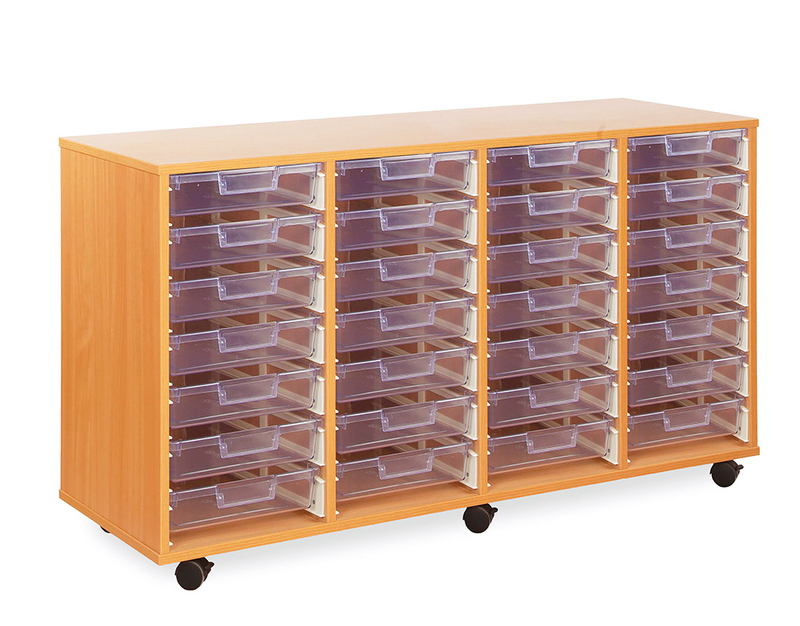 The Crystal Clear classroom tray storage shallow tray unit is available with 6, 12, 18, 24, 28, 32 or 36 shallow Certwood trays. 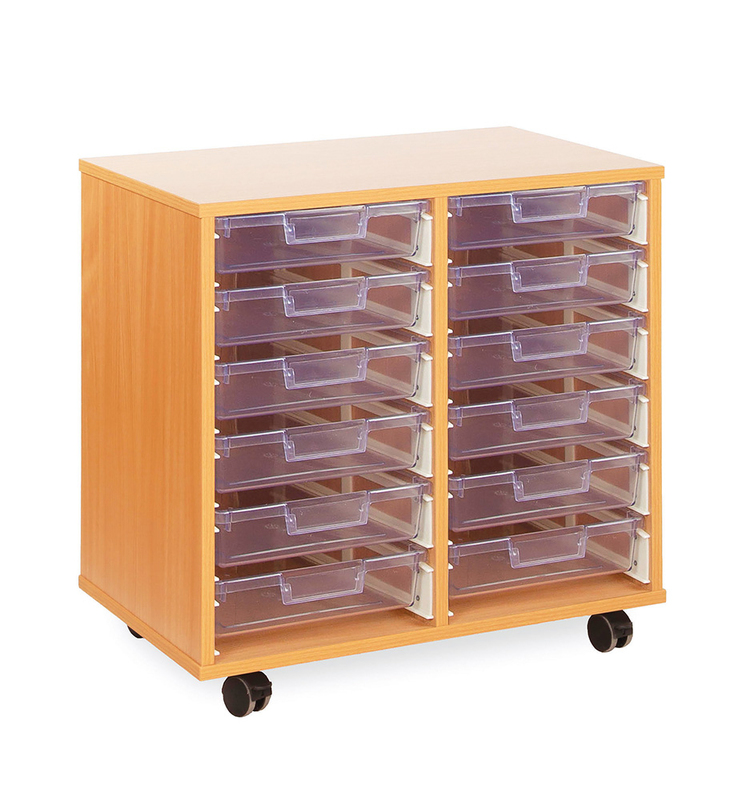 Constructed from 18mm durable MFC in a modern beech finish and supplied with shatterproof high impact Certwood crystal clear shallow trays which are held in place with glide and tilt runners. 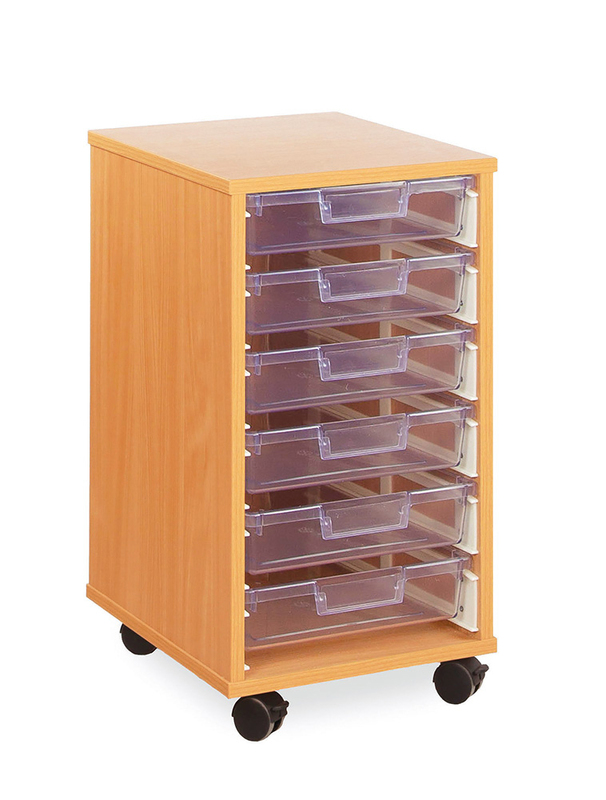 Complete with easy glide castor wheels for smooth and easy mobility if required.